Due to known fraud, please do not submit this application at the request of anyone else. For questions or to speak with a representative, please visit one of our branch locations, or give us a call at 800-677-8506 and select Option 4, then Option 1, Monday through Friday, 9 a.m.-5 p.m.
USA PATRIOT ACT - To help the federal government fight the funding of terrorism and money laundering activities, federal law requires all financial institutions to obtain and record information that identifies each person who opens an account. What this means for you: When you open an account, we will ask for your name, address, date of birth, and other information that will allow us to identify you. 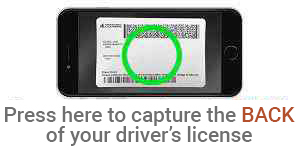 We may also ask to see your driver's license or other identifying documents. I am an existing member of Corning Credit Union. I am related to an existing member. When you open your new membership, we’ll automatically open a share savings account and order an ATM card for you. As a gift, we will deposit the $5 minimum required to open this account. If you decide to also add one of the checking account options below, we’ll order you a debit card instead of an ATM card. Windfall Checking is our most popular option because it’s the high-yield checking account that pays you back! Windfall also features a $0 minimum balance requirement, no monthly service fees, and convenient overdraft protection. You’ll automatically receive a debit card when you open this account. Value Checking is our most basic checking account and features no monthly service fees and a $0 minimum balance. This account does not pay dividends. You’ll automatically receive a debit card when you open this account. All Axcess Checking is designed especially for our members age 16 and older. With no fees, no minimum balance requirement, and ATM fees refunded up to $30, this account is ideal for young adults. You’ll automatically receive a debit card when you open this account. YOUR APPLICATION IS NOT COMPLETE UNTIL YOU READ THE DISCLOSURE BELOW AND CLICK THE “AGREE” BUTTON IN ORDER TO SUBMIT YOUR APPLICATION. You are now ready to submit your application! By clicking on "I agree", you authorize us to verify the information you submitted and to obtain your credit report. Upon your request, we will tell you if a credit report was obtained and give you the name and address of the credit reporting agency that provided the report. You warrant to us that the information you are submitting is true and correct. By submitting this application, you agree to allow us to receive the information contained in your application, as well as the status of your application.